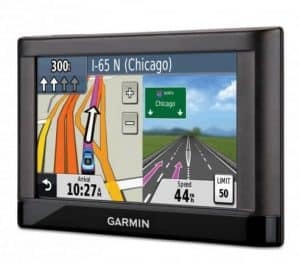 Garmin nuvi 42lm portable gps – discontinued? - Which Sat Nav? 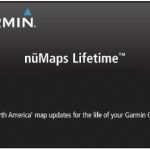 Home » Garmin » Garmin nuvi 42lm portable gps – discontinued? This sat nav is one of those units with a smaller screen – 4.3 inches to be exact. It’s perhaps a little unusual as the screen size of other devices appears to be growing every year. 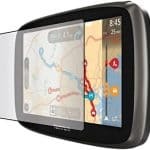 That trend may be due to continue as the Garmin nuvi 42lm portable GPS has now been discontinued by the manufacturer. Why then should I bother to review the product? Well, simply because there are still a large number available from the various online retailers. It’s also for sale on Amazon at a rather tempting price. The design of the Garmin nuvi 42lm is the same as the other Garmin devices on the market. The 42lm is a slick looking rectangular device with a dark two tone color scheme. There is a glossy black strip of plastic running along the bottom of the device with ‘Garmin’ written in the middle. The 42LM comes with a 4.3 inch screen. If you have previously used other Garmin devices then it it is noticeably smaller in size. This isn’t necessarily a bad thing particularly if you drive a small car. It also makes sense if you tend to carry the sat nav in your bag when you leave the vehicle. However I found that due to the smaller screen size I did tend to keep my eyes on the device a little longer when driving. The information that I need to have whilst driving seemed to take my brain a few additional seconds to decipher. This is only because the screen is smaller than what we are used to. 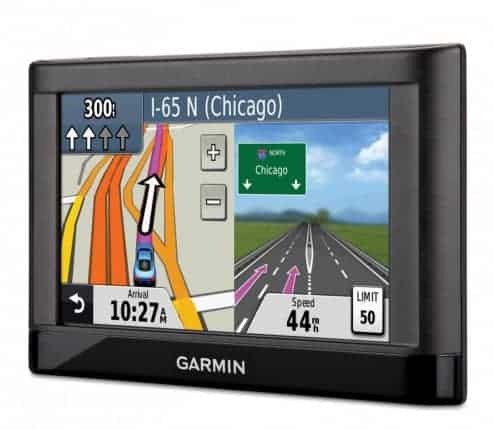 For a larger screen and therefore a clearer display check out the Garmin nuvi 67LM. The 480×272 pixels display is not the sharpest screen I’ve seen by any stretch of the imagination. However, it i supported by a white backlight that does make the screen clearer, particularly when there is some sunlight glare. Like most Garmin devices the 42LM managed to find my location quickly and without fuss. It took on average, just under 30 seconds for the device to lock onto enough satellites for it to be able to work correctly. As this is part of the entry level of sat navs there is no voice activation feature available. So yes, you are going to have to tap all of your destinations into the device manually! The 42LM performed well and was generally respsonsive to the touch. There were however some responsitivity issues when used in cold weather. I had left the device attached to the windscreen overnight and was heading off on an early morning drive. The car was freezing and there was plenty of condensation on the windows – definitely a morning to have stayed in the warmth under the duvet! On this occasion the sat nav was like the driver was a little groggy and perhaps still half asleep! It took a fair few strong taps on the screen for it to respond. Inputting my destination took a little longer than usual. In fairness, this was the only time I experienced any issues and therefore I don’t believe it should be a deal breaker if your considering purchasing the device. There have also been a few reports of the device not responding too well when used in very hot weather. Unfortunately however, I cannot comment as it’s just really cold here at this time of year 🙁 The solution therefore appears to be to bring the device into the house during the night. Or at the very least you should place the sat nav into the glove box on the car for a little extra protection from the extreme temperatures. Despite being part of the budget rage the Nuvi 42LM does come with a couple of nifty navigational features that help when driving. Split Screen – when you are getting ready to exit the freeway the device will simultaneously split the screen into two. On the left hand side will be the navigational map and on the right there will be a ‘lane view’ of what’s coming up ahead. The lane view are generic illustrations of the junctions and therefore not exact but, they are easy to understand. Lane Assist Function – for me this is probably the most useful feature. In the top left hand side of the screen you will see a diagram depiction of the upcoming lanes; This will enable you to be in the correct lane for an upcoming juntion or turn. During testing the 42LM impressed by calculating my routes quickly. In fact, the calculation times were comparable in performance to the premium ranges offered by Garmin. It also performed well whilst driving as the information scrolled seamlessly through the various displays. The instructions given were also clear and easy to understand – we actually had no major mishaps or missed turns on any of the routes we used it for! The updating of the maps is done via the ‘Garmin Express’ program. Basically plug in and update the maps as required. Thankfully with this device there are no storage issues with the map updates. Given that this is a budget device it most certainly gets two thumbs up from me on this score! Inside the box you pretty much get what you’d expect….. There is a lot to recommend the Garmin nuvi 42lm portable gps. It is a no frills device that does exactly what it says on the tin – it will get you from A to B and back again! If your not interested in the additional extras that come with the premium devices then this does its job nicely. During testing it performed strongly doing what it should be doing – namely navigation. With Amazon offering a 30% discount on the 42LM, it really is worthy of serious consideration. There are lots of reasons to recommend this device. It performed well in all of our tests and is well priced. Bear in mind that it has a smaller screen than most sat navs and does not come with voice activation or traffic updates. Interesting article on the Garmin. These used to be extremely popular a few years ago and just about everyone had to have one. Now I think it is just easier to use your smart phone, which is the latest thing that everyone seems to have. Would be interesting to see just how many of these devices sell on Amazon this year. When GPS like Garmin hit the market a few years back, I did not get one installed. I think life would have been easier if I had, but I find it costly back then. Now, I’m using Waze on my smartphone to get me around. I’m still surprised that GPS like these are still in the market? Or does this model being discontinued signify the end of this technology as people are switching to their mobile for navigation?